Veronica currently serves as our administrative assistant and has been a member of the team since 2009. 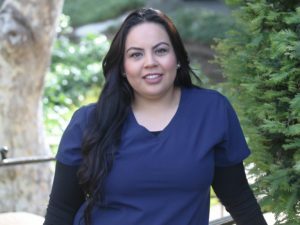 Veronica is full of smiles and loves developing relationships with patients and their families; she has a knack for remembering and noticing the little details in their lives that distinguish each patient. She feels blessed to be able to work with an amazing team that truly feels like family.